Every Easter, the Easter Bunny and his wife, Mrs. Bunny, visit the Walt Disney World Resort for some rest and relaxation in the days leading up to Easter’s annual holiday basket delivery. The Bunnies, who have spent most of the year painting eggs and stocking up on jelly beans, will spend their Disney Parks vacation meeting and greeting families at the Magic Kingdom. You won’t want to miss meeting them and other special activities that take place in the parks, restaurants and resorts of the Walt Disney World Resort. Easter Bunny Meet & Greet – Mr Easter Bunny will be available at Bunny Lane Garden (at the Town Square Courtyard between City Hall and Chamber of Commerce on the left side of Main Street when entering the park) to meet & greet with guests. PhotoPass photographers will be on hand to take pictures. Easter Procession – Guests can look for Mr. Bunny to make a special pre-parade appearance along with other springtime characters and dancers, and the Azalea Trail Maids. Typically, Mr and Mrs Easter Bunny are joined by butterflies, flowers and dancing hippos, Daisy, Duck, Thumper & Ms. Bunny, White Rabbit, Rabbit, Clara Cluck, Ostriches, Dancing Chicks for this procession down Main Street, U.S.A.
Spring Trolley Show – The citizens of Main Street, U.S.A. in Magic Kingdom park are bursting with excitement now that spring is in the air. Dressed to the nines in bright pastels and with a few new songs in their hearts, they arrive in town on a horse-drawn trolley adorned with colorful bouquets of flowers and ribbons. When making your Easter vacation plans, plan on arriving at the Magic Kingdom early, especially days the week prior to Easter as the park often closes due to reaching capacity. Easter Egg Hunt – Easter Egg Hunt Maps can be purchased at Disney Traders, Pin Central, or Port of Entry for $6.99. Once guests have their maps, they will be able to record hidden eggs, themed after Disney characters, by placing the right character sticker in the matching location on the special map. 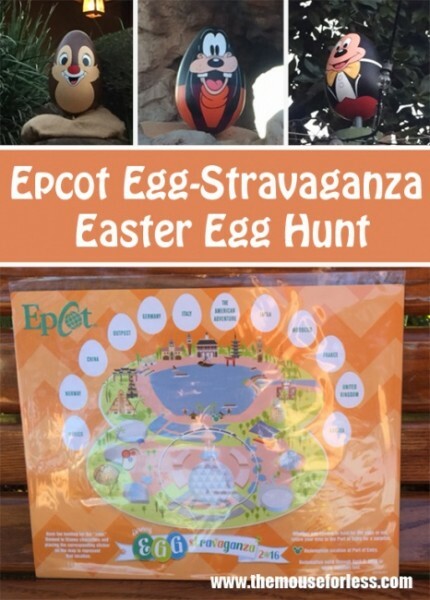 Whether you choose to hunt for eggs or not, return your map to Disney Traders in Epcot and participate in an ‘egg-scramble’ to pick up your surprise. This year, the fun lasts will take place from April 5-21, 2019. (while supplies last). Have your family get dolled up and visit the Disney PhotoPass Studio at the Marketplace. There will be fun props including a larger-than-life Easter Basket and virtual backgrounds that depict picturesque spring scenes. A number of special meals are held at select resort locations on Easter Day. Details for Easter meals are usually announced several weeks prior to the holiday. Holiday meals can be reserved up to 180 days in advance by calling (407) WDW-DINE (939-3463). During the busy Easter season, many of the Walt Disney World dining locations experience an increase in guest demand. As a result, Disney has implemented seasonal pricing for many of the fixed-price dining locations (buffets and character meals). For more information on seasonal dining prices, visit our Seasonal Dining page. The Resort’s modern Italian restaurant Ravello will present a lavish Easter buffet. The menu includes a wide array of offerings, including seafood and carving stations, extravagant desserts, breakfast favorites, a children’s buffet and more. The Ravello Easter brunch will be offered from 12:00 p.m. to 7:00 p.m.
For a brunch menu with a Cuban twist, celebrate Easter Sunday at Plancha, the Resort’s Cuban American restaurant. Located at the Tranquilo Golf Club clubhouse, the lakeside restaurant offers a three-course brunch including a choice of entree, decadent buffet, and bottomless mimosas and Bloody Marys. Plancha brunch is offered from 10:00 a.m. to 3:00 p.m.
Easter Dinner Buffet Menu: Roasted Tomato Soup; Clam Chowder; Assortment of Chef’s Favorite Salads; Charcuterie Board; Smoked Salmon; New York Strip Roast; Brined Roasted Turkey Breast; Seared Salmon; Rotisserie Chicken; Spring Succotash; Twice Baked Red Potato; Roasted Garlic Mashed Potatoes; Green Beans; Assortment of Petite Pastries and Desserts. Several other Disney Springs restaurants will offer custom Easter menus. Additional Easter meal information will be added as it becomes available. 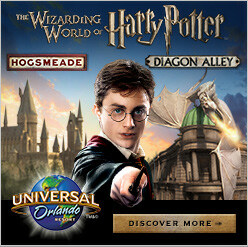 For more information on visiting during Easter week, visit our Spring Break page. Most Disney resorts, Moderate and above, will hold some sort of Candy Scramble Easter morning at 9:00 am. and other organized activities. Easter activities at Deluxe and Deluxe Villa resorts and at Disney’s Fort Wilderness Resort and Campground will be more extensive. A character meet & greet with Disney characters in their Easter finest is held at ALL resorts. Activities listed below are subject to change. 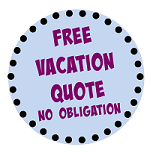 Consult the front desk of your resort for a list of activities that will be held on Easter weekend. For those who wish to attend a religious service Easter morning at Walt Disney World Resort, two denomination are held on Easter Sunday, in the Fantasia Ballroom of the Disney’s Contemporary Resort. A Catholic Mass is held at 8:00 a.m. and 10:30 a.m. The Protestant Service is held at 9:15 a.m. Parking at the Contemporary Resort is restricted to guests with hotel reservations only; all others must take Disney transportation to reach the Contemporary Resort. Typically parking at the Polynesian and Grand Floridian lots will be restricted for parking during service hours as well. Guest staying a monorail resorts are advised to use resort transportation via the resort monorail or Contemporary boat dock. All other Walt Disney World Guests must use Resort transportation to the Magic Kingdom and then transfer to a shuttle bus to Disney’s Contemporary Resort. The shuttle will begin running at 7:00 a.m.
For worship outside of Disney property, consult our Houses of Worship Near Walt Disney World Guide. Hop on over to Disney’s Grand Floridian Resort & Spa at Walt Disney World Resort for a delectable Easter egg display which will be available through April 27, 2019. The Disney pastry chefs there are known for their fabulous sugar shacks at Christmastime, but the Grand Floridian bakery team also spends weeks crafting yummy chocolate egg masterpieces. Each over-sized, 9- to 12-pound hollow chocolate egg stands 16-20 inches tall and is completely edible – hand decorated with modeling chocolate, fondant, sugar, royal icing, colored cocoa butter and themed sculpted sugar pieces. Enjoy a variety of Disney-themed and traditional Easter eggs displayed in the main lobby of the resort as well as a display in the dining room of the Grand Floridian Cafe. The display this year features themes from Toy Story, Dumbo, The Fox and the Hound, Beauty and the Beast, Minnie Mouse, Stitch, and more. In the 1st floor lobby of Disney’s Contemporary Resort, for the 8th year, you’ll find a magical array of Easter eggs inspired by some of Disney’s most popular animated classics. Guests will find 35 beautiful Easter eggs made with white and dark chocolate, including a centerpiece egg signed by a few familiar Disney friends! At Disney’s Beach Club Resort and Disney’s Yacht Club Resort there will be a chocolate Easter egg display located in the lobbies. These will be hand-sculpted and hand-painted Disney-inspired chocolate eggs. Eggs are themed after Disney snacks, Dumbo, Bambi, unicorns, and more. Through April 20th, you can also purchase 7-inch Mickey and Minnie Chocolate Eggs while supplies last. The display will be on site until April 27. At Disney’s BoardWalk Resort, you can find another display of Disney-themed chocolate eggs through April 21. 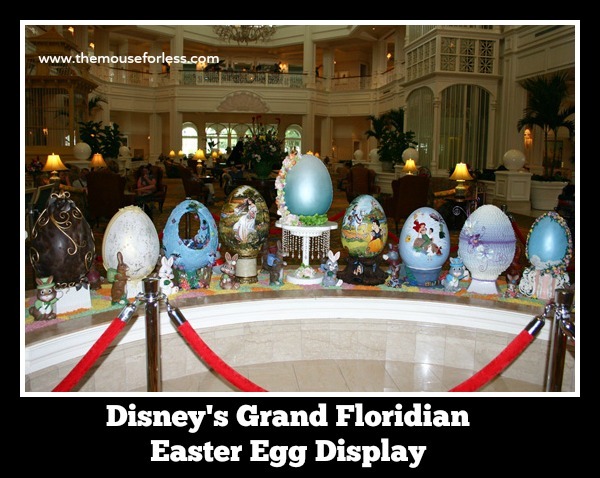 Take a look at our article on The Mouse For Less Blog all about what the Easter Egg displays look like at the various resorts. 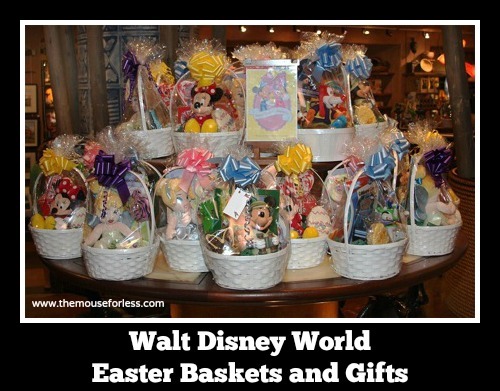 Easter Baskets are offered for sale at each of the Disney-owned Walt Disney World resorts. Each resort will have some pre-made baskets containing a variety of merchandise items. The retail for the pre-made baskets varies based on the items included (typically between $40-$65). There will also be cast members available to make customized baskets based on guests’ requests. The customized baskets usually started at $7.00 plus tax for an empty white basket, grass, bow and shrink wrap. Anything added to a custom basket is extra – just purchase the items that you would like to include at the store. At Disney Springs, you can choose from an Easter basket that’s fully assembled, Goofy’s Candy Co. is bringing back their popular Disney baskets compete with delicious goodies. Guests can also choose to pick up themed sweet treats from Goofy’s Candy Co. and specialty apples from Candy Cauldron. As the holiday draws closer, a variety of Easter Baskets, Surprises and Gifts are also available for delivery to Disney-owned resort rooms through Disney Floral & Gifts. Mickey’s (or Minnie’s) Easter Surprise is available for $79.95. New this year, delight the princess in your life with A Princess Easter Basket! Each of these predesigned offerings comes with activities, and snacks to share. Or, channel your inner “Imagineer” by creating an original Easter basket for your loved one laced with the power of storytelling and (of course) the one of a kind magic only Disney can give! Simply visit the Custom Gift Builder tab, choose an Easter basket, tote, or cinch bag from the selection of containers and fill with your favorite Easter or Disney treats. Become the captain of your very own crew with chocolate coins, an eye patch and all things pirate! Or dream up a happily ever after, adding a crown and a wand to complete your very own fairy tale. For more information on Disney gifting experiences, call a Dream Maker at 407-WDW-GIFT, or visit Disney Floral & Gifts to browser their Easter selections. If you would like to capture your family’s memories at the parks, you can book a session with Disney Fine Art Photography and Video, even if you’re not staying at the Walt Disney World Resort. For more information on capturing the memory of your Easter visit or to book a Disney Fine Art Photography session call 407-934-4004, or visit Disney Fine Art Photography.